Students are considered to have completed our program (course) if they complete five (sequential) classes of the program. These students will receive a Robotics Certificate from CBD Robotics. Students who completed only a few classes will be issued a paper Certificate of Completion from CBD Robotics. Classes will be highly specialized and focus on practical projects, students must complete new projects that are approved upon completing the course. Each class lasts 4 months or 16 weeks. Each week, students will attend 2 sessions. Each session lasts 2 hours, This includes 45 minutes of theory and 1 hour of 15 minutes of lab practice. Students will develop practical projects under guidance of lecturers in lab time. 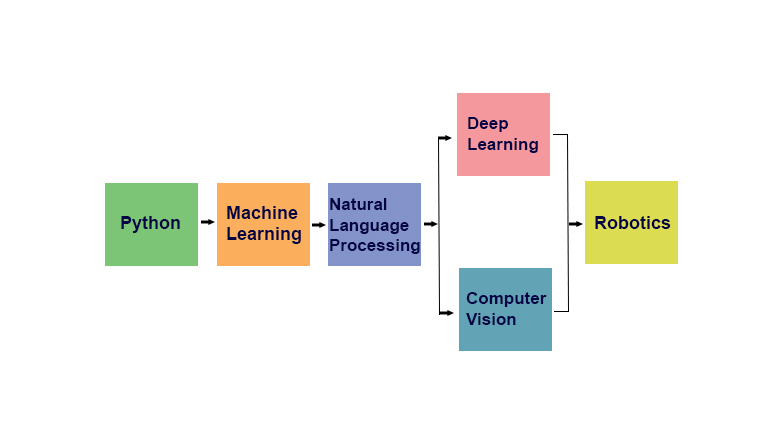 * CBD Robotics will have an internship program (with fees) via online bootcamp (Machine Learning, NLP, Deep Learning & Computer Vision) starting on April 17, 2019, contact us at contact@cbdrobot.com for more details.